A brand new Disney Dance Party like no other! Why See Disney Junior Live: Dance Party? Join your favourite Disney Junior characters! 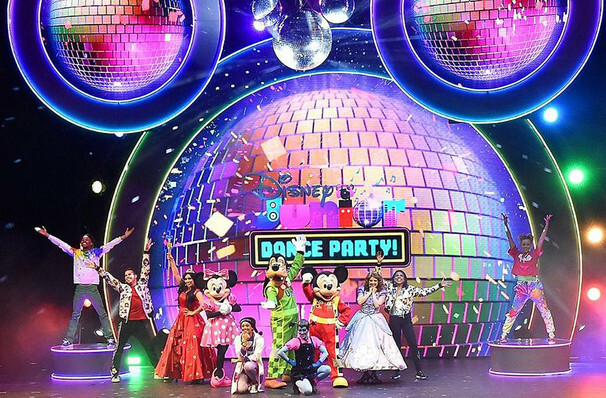 Come along for a dance party like no other and interact with your favorite Disney characters! Join Mickey, Minny, Sofia The First, Doc McStuffins and the Jake and the Neverland Pirates as they perform their biggest songs in a show for all the family. Join hosts, Dee and Jay and the DJ Dance Squad as they welcome Mickey, Minnie and other Disney Junior characters to perform popular songs from the Channel including "Hot Dog Dance", "Time For Your Check Up", "Zuka Zama" and "Happy Helpers". The Party On dance tour will be lighting up stages across the US so don't miss them when they come to your town! Seen Disney Junior Live: Dance Party? Loved it? Hated it? Help your fellow Akron Theater visitors by leaving the first review! Sound good to you? 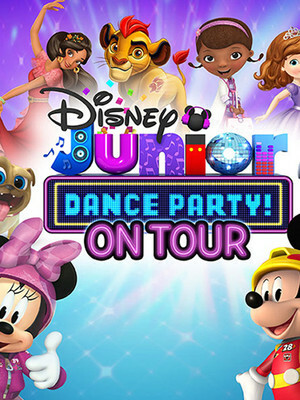 Share this page on social media and let your friends know about Disney Junior Live: Dance Party at E J Thomas Hall. Please note: The term E J Thomas Hall and/or Disney Junior Live: Dance Party as well as all associated graphics, logos, and/or other trademarks, tradenames or copyrights are the property of the E J Thomas Hall and/or Disney Junior Live: Dance Party and are used herein for factual descriptive purposes only. We are in no way associated with or authorized by the E J Thomas Hall and/or Disney Junior Live: Dance Party and neither that entity nor any of its affiliates have licensed or endorsed us to sell tickets, goods and or services in conjunction with their events.